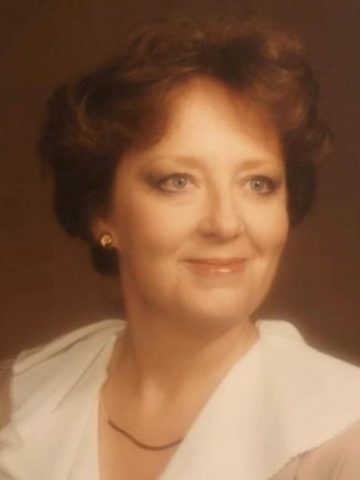 Ida Eugenia Sisk Deal, 69, went to be with the Lord on July 14, 2018, at her residence in Fayetteville, NC just after midnight. The Funeral Service will be at 9:30 a.m., Saturday, July 21st with Mr. Forrest H. Gates officiating, followed by Burial in Harpeth Hills Memory Gardens & Funeral Home in Nashville, TN. Ida was born on October 18, 1948, in Clarksville, TN, daughter of Bailey Eugene Sisk and Frances Payne Sisk. She studied one year at Freed Hardman University, but completed her Bachelor of Arts in Business Education at Austin Peay State University in 1970. Ida met Virgil Thomas Deal Jr. at Madison Street Church of Christ. They married on September 7th, 1970, and had two children, Frank Wesley Deal and Amy Susanne Deal. Survivors include her son Frank Deal and wife Ercy Deal of Kingwood, TX, and her daughter Amy Susanne Glass and husband Hunter Glass of Fayetteville, NC; her grandchildren, Patricia Deal, Kathleen Deal and Samantha Glass; and her sister Connie Diane Gates of Madison, TN. Ida was preceded in death by her parents, her sister Stella Rosemond Sisk Hawkins, and brother Joe Clifford Sisk. Ida served as a Girl Scout leader for 15 years, Army wife for 32 years, was an avid Master Gardner & genealogy enthusiast. Some of her hobbies included calligraphy, stained glass, photography and macrame. Ida was a faithful and hard working Christian and will be always remembered for her loving, serving and giving heart and is resting now in the arms of our Father in heaven. All our love to Amy and the rest of the family.I had reconnected with Ida not too long ago via FB. I am so sad to hear about her passing. We will remember all the good times we shared in Girl Scouting in TN. We have loved Ida since she and Gayle were hospital commanders’ wives together at Fort Campbell, KY in 1998. She made us a beautiful stained glass that we enjoy every day. Despite moving frequently, we visited as often as we could. We are very thankful that Frank and Ercy brought her for a visit 18 months ago.